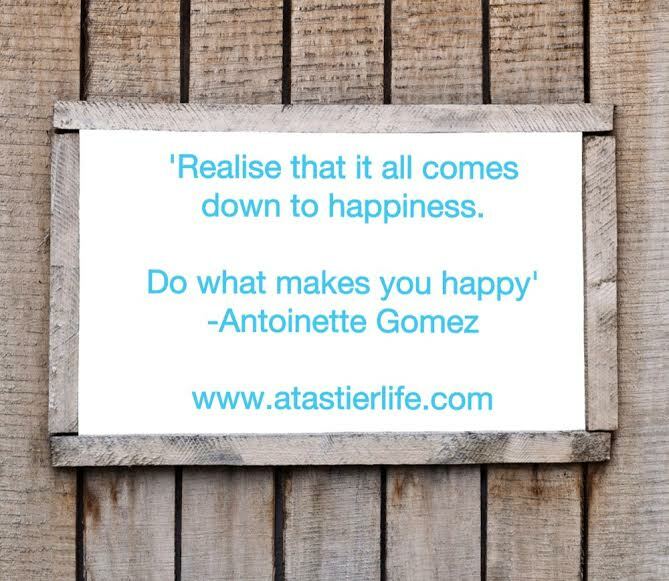 I saw this quote and thought WOW … I am doing what makes me happy right now and it has absolutely changed everything. I find the happier and more positive I am outwardly the more I end up feeling that same happiness and positivity within myself. I am a happier me. I encourage anyone to find what it is that makes them happy, do it, and share it with everyone you know. Don’t wait; life is too short!